Have lingering feelings for Anna cost Jeremy his relationship with Bonnie? Just in time for Halloween, “Ghost World” is a rather “spirited” edition of The Vampire Diaries as deceased loved ones haunt the Mystic Falls gang after Bonnie breaches the doorway between the living and the dead. Damon regains consciousness to find himself chained to a chair and tortured by the ghost of Mason Lockwood in the exact fashion that he killed Mason last season. Although Mason enjoys sticking it to Damon – literally – he’s popped up for a more noble reason. He wants to protect his nephew Tyler from a life of servitude under Klaus and knows of an old Lockwood family legend – that family history has a million of ‘em – regarding a weapon that can be used to kill an Original Vampire. Mason toys with Damon, leading him to the cellar on the Lockwood family grounds and letting him get impaled by a booby trap set up to protect the secret weapon. 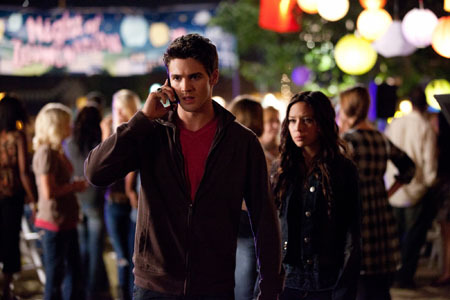 While Mason pulls Damon’s strings, the other residents of Mystic Falls receive ghostly visits that stir up old emotions. Anna is acting like she and Jeremy can make a go of it as a couple even though she’s, well, dead. What’s worse is that Jeremy admits to Elena that he still loves Anna. Elena’s not pleased by this turn of events, but she enlists his help in conjuring the presence of Stefan’s bestie Lexi in hopes of pulling him out of the darkness of his Ripper persona. Lexi’s in rare form, overpowering Stefan and strapping him to a chair in the Salvatore dungeon — everyone in town seems to have one of these — while she tortures him to make him feel again and reclaim his humanity. While Jeremy is off kissing Anna, Bonnie’s magic brings forth the spirit of her witch grandmother – played by Jasmine Guy of the ‘80s sitcom It’s a Different World— who demands she correct the imbalance she caused in the natural order of things by resurrecting Jeremy. The Original Witch’s talisman must be destroyed! But where the hell is that damned thing? At the Founder’s Day celebration, a band of vengeful vampire ghosts settle some old scores with the descendants of the Mystic Falls founding families – targeting Tyler’s mom Carol among them – but Caroline leaps to the rescue. Mason paid Damon back from beyond the grave. Jeremy discovers that Anna, who doesn’t want to be sent back to her lonely place on the other side, has the necklace. Luckily, Elena manages to guilt her into giving it up. Jeremy returns it to an angry Bonnie, who tosses it in a fireplace, sending all the spirits back to Ghost World. Grandma Jasmine is proud of the Bonster. Lexi runs out of time in her intervention with Stefan but urges Elena not to lose hope. Anna is reunited with her mother as a reward for returning the talisman. Mason fades away just as he discovers the key to finding the weapon to use against Klaus. Damon, who can’t enter the space in the cave without being invited, summons Alaric. Ric is amazed to find a wall covered with ancient hieroglyphics that tell the story of the Original Vampires – Klaus’ Viking family. This is the point where we learn more about what led to Klaus being such a crummy dude. That’s great and all, but I still want to know what happened to Katherine when Michael bit her! Any ideas? TVTeaser is the author of Night Bites, a fan blog about the mysterious happenings in the sleepy town of Mystic Falls. 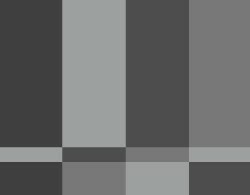 Follow him on Twitter @TVTeaser.